SKU: LAM8325. Category: L - Taurine. Taurine has been shown to have a significant role in the nutritional support of the brain, heart, gallbladder, eyes and cardio-vascular system. It also serves as a neurotransmitter in the brain, and a stabiliser of cell membranes. 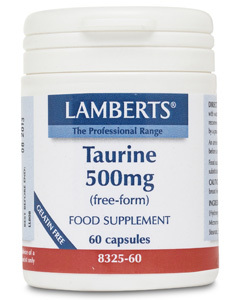 Taurine is one of the lessor known Sulphur Amino Acids and can be synthesised by the body from Cysteine when Vitamin C is present. Amino Acids are essential to health. 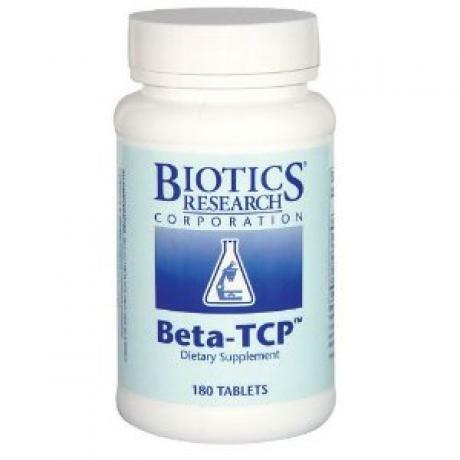 Most form the small structural components of protein and are required for the synthesis of protein within the body. The primary function of most Amino Acids is to furnish the essential material for duplication of the genetic code, for cell division, and for the formation of muscles and connective tissue. 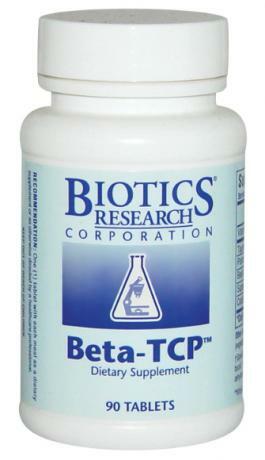 1 to 3 capsules daily. It is preferable to take Amino Acids with fruit juice or water, rather than milk. Most effective when taken half an hour before any meal or at bedtime. Not recommended for children, or pregnant or lactating women.